 When the Society first bottled a cask strength Grain whisky, there was furore. When the Society first bottled single cask Japanese whisky, there was upset. When the Society first bottled a single cask Rum, people were upset it “wasn’t whisky”. 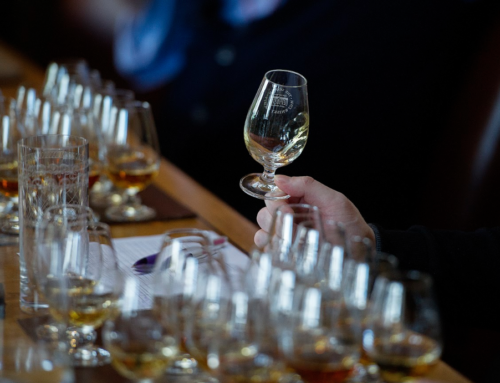 Yet they were and remain hugely popular with our members wanting to explore spirits around FLAVOUR rather than just titles.Last year, the Society bottled our first ever single cask, cask strength, panel-approved Cognac. Under the code C1 ‘Nectar Céleste‘ was another milestone for the Society. 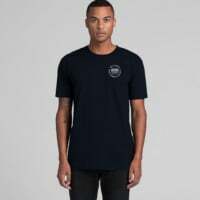 Locally and I’m sure in every branch around the world it sold out in minutes. Members were delighted to explore a new Society spirit category and the rush was real! Since then, we’ve released C1.2, C2.1, C4.1 and just recently the oldest and rarest to date, C3.1. But before we go there, let’s explore what Cognac actually is?! Cognac is a form of brandy named after the town in south west France where it is made, under the strict guidelines of its own industry body, the BNIC. It is solely produced in the wine-growing region surrounding the town of Cognac, known as Charente and Charente-Maritime, and since 1936 has had appellation protections on the name and production. Unlike whisky, Cognac is made from white wine grapes! Where whisky benefits from the general uniformity of grain, grapes can change dramatically from season to season and as such the terroir of the winery and process can have quite wide variation. Cognac, just like whisky is however distilled! The double-distillation process and how much the distiller cuts from the heart of the run to the time it takes is actually quite similar to whisky production. 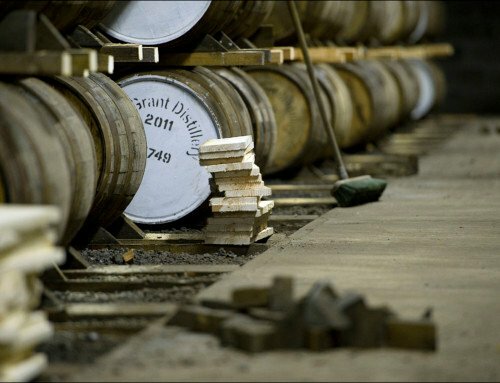 The best cut of the spirit is captured, which is also a clear spirit at birth, before being filled into oak casks. However, continuous ‘coffey’ style still distillation is prohibited (like grain whiskies you might be familiar with already). What is with those (lack of) age statements? Once distillation is complete, it must be aged in Limousin oak casks for at least two years before it can be sold to the public, which is similar to Scotch whisky sitting at minimums of 3 years, however it’s rare for a Scotch whisky to be ready after 3 years, just as it’s rare for a Cognac to be ready after just 2. 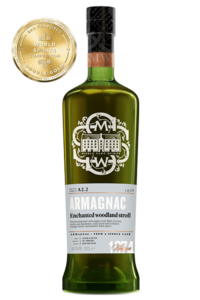 It is typically put into casks at an alcohol by volume (ABV) strength of about 70%, which is not too dissimilar to many whisky distilleries these days as well. Cognac suffers the same curse of the ‘Angel’s Share’ much like whisky, and in the Cognac region that’s around 3% per/year. A careful eye will spot that we aren’t legally allowed to disclose the formal age statement of the single cask we’re bottling. This is protected by the BNIC, so not much can be done there. VO means ‘Very Old’, VS means ‘Very Special’, VSOP means ‘Very Special Old Pale’, XO means ‘Extra Old’. The youngest cask we’ve bottled is already XO, meaning it’s already old! To classify as XO means the spirit has to be at least 10 years old as of April 2018 under the new BNIC laws, but you can be assured that they are often many decades older. 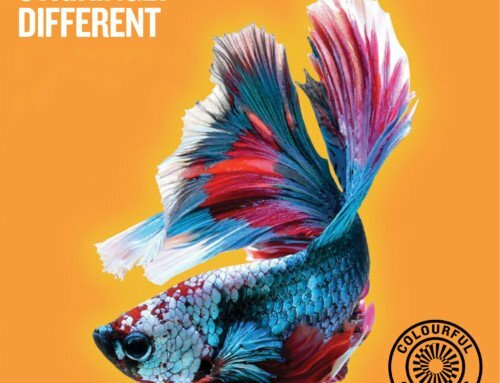 What does the Society do different here? Most, and by most I mean over 98% of all Cognac production around the world is blended into a system of ‘carboys’ or ‘Demijohns’ and let rest in inert glass before being watered down and blended. We don’t accept watering down of spirit, and we maintain that with our Cognacs. 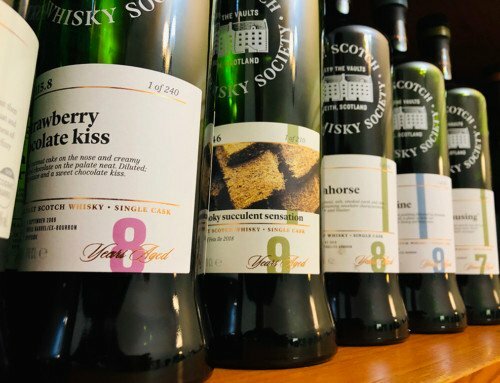 Just like how over 80% of all single malts are destined for blends, in Cognac it’s so much the norm that bottling a single cask Cognac is nearly unheard of, so for the SMWS whisky team to be picking out single casks of incredible provenance before it gets diluted is something rare and exciting in itself! By choosing to bottle as both single cask AND cask strength, we achieve a much more focused and unique flavour profile that let’s the one-off integrity off each cask shine through. 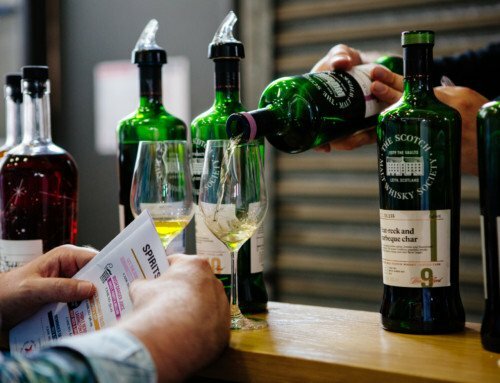 How do I drink SMWS Cognac? With your normal SMWS short-stem copita glass! As mentioned above, whisky and cognac share a lot of similarities, even down to the glassware you use to enjoy it. That said, we never dictate you MUST use a short SMWS copita nosing glass, and with a bit of experimentation you might just find your ideal ‘Cognac glass’. Also, there are also a whole range of cocktails that use Cognac as a base spirit, from the Sazerac, Sidecar, Stinger, or B52 if you’re feeling really frisky! It’s your Cognac, find your ideal serve, and don’t be afraid to experiment! How does it taste compared to single cask whisky? Our single cask Cognacs are utterly unique, but there are some core spirit characteristics you may find like rich fruits, deep floral notes, roasted chestnuts, honey, maple, and stewed apples. Whatever the case, they are always a true delight on the nose in a way that can transport you to another place entirely. 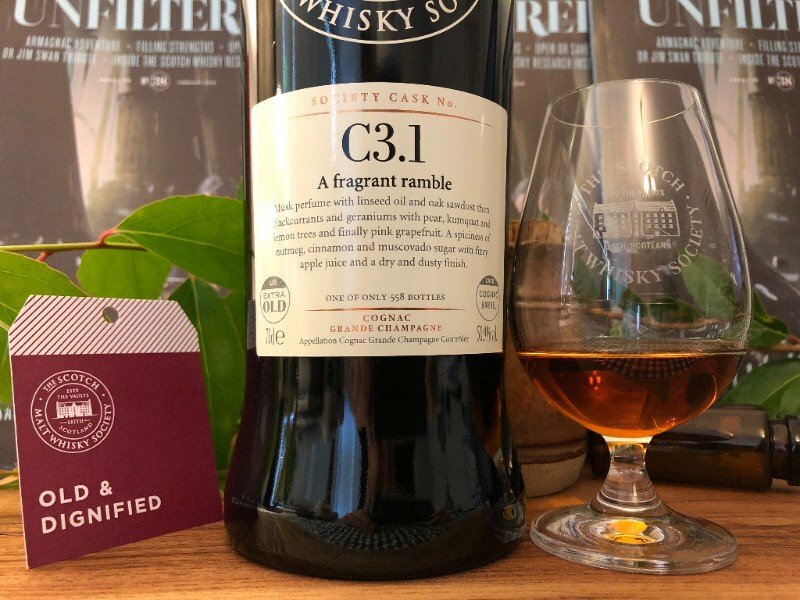 What is Cask C3.1 ‘A fragrant ramble’? 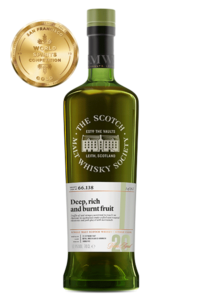 Cask C3.1 ‘A fragrant ramble’ is the oldest and rarest single cask Cognac ever released by the SMWS, and from a distillery of incredible history. A true piece of liquid history in a glass. 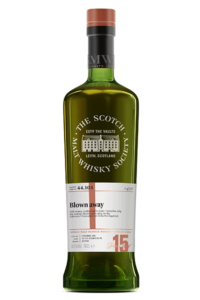 This, and other brandy spirits from the SMWS, will be one of five rare single cask pairings being featured at the sumptuous Cognac Dinner on May 9th at Brasserie l’Entrecote, 7pm. See you there!